We all experience trauma at some stage in our lives. It may be the loss of a loved one or being involved in a traumatic incident such as a road crash, hijacking smash and grab etc. This may have a very negative impact on how we continue to live our lives and respond to negativity and stressful situations. On the Arrive Alive website we have made available a rather comprehensive section of content on trauma counselling after road crashes. 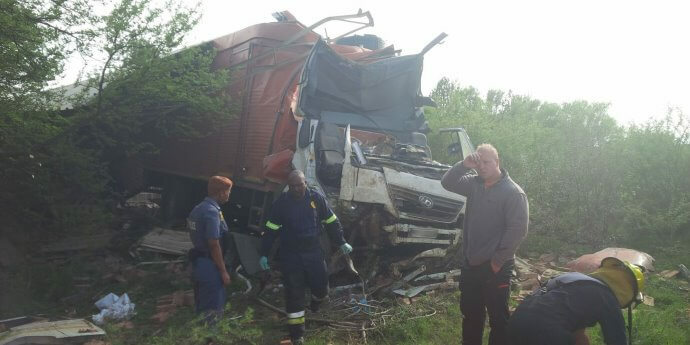 It is important though to also consider how trauma on the road is affecting our professional truck and bus drivers. 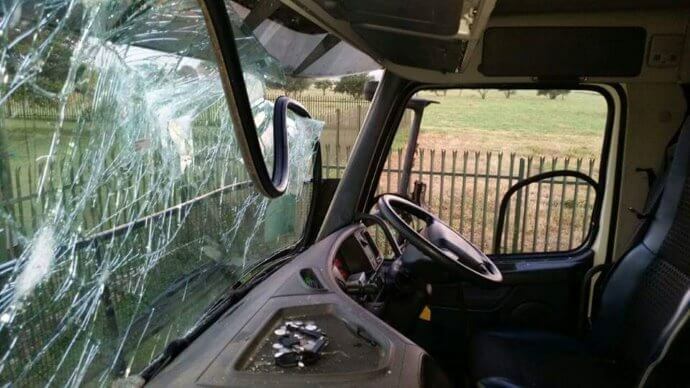 Recent incidents of civil unrest and the burning and looting of trucks have emphasized the trauma that our truck drivers are confronted with. Are there any measures that can be taken in training to reduce this impact? The amount of training needed, and the techniques used to manage trauma related to looting incidents will vary considerably within the area of operation and of course with the driver involved. In most cases, incidents like such may cause personal distress and impede job performance for up to a month. However, some drivers may be more deeply affected and experience more significant impairment, developing a psychological disorder called Post-Traumatic Stress Disorder, or PTSD, characterized by the reactions we've mentioned. However, in PTSD, these effects can last for years and can be extremely debilitating. While fleets are concerned with wellness programs to address issues such as diabetes, HIV, smoking, obesity, and driver fatigue. They might want to apply this thinking also to address Post Traumatic Stress Disorders elicited by such events. Effective driver training means training must now include a special module dealing with Protest Action which would cover aspects such as Effective Route Planning, Monitoring News Broadcasts, Constant Liaison with The Company’s Control Room and also Communicating with fellow Truck Drivers. Emergency Telephone Numbers for police, fire and ambulance must be kept on his person and aspects of Self Defence may be taught. Depending on the Situational Analysis, Ramming Through Tactics and Offensive Driving can also be applied. 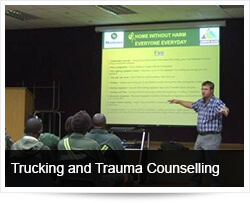 How would trauma experienced impact on the driving ability and behaviour of a truck driver? What would he be doing differently or fail to do? Depending on the character trait of each driver some may become timid, reserved and withdrawn, whilst others may over-compensate by becoming aggressive and defensive, the latter being extremely dangerous on the road. Road rage could become common and reckless behaviour may manifest itself as a driver now aims for survival. The trauma experienced, can mean dealing with PTSD, regularly facing trauma triggers, and battling exhaustion through it all—without professional help to identify or manage these mental-health problems. This isn’t just dangerous to the truckers; it can be a safety hazard for anyone on the road. The most common symptoms of PTSD include difficulty sleeping, difficulty staying awake, panic attacks, and problems concentrating. These symptoms would systematically increase the risk profile of a driver. How would fleet managers be able to detect through de-briefings, vehicle telematics technology or other feedback that a driver has “changed” and is in need of trauma counselling? The Briefing/de-briefing process is a critical touch point in any fleet with the drivers. It is often at this point where behaviour changes in drivers are first picked up and addressed but the reverse can be said where the pressure on a business influences this touch point negatively and change in driver behaviour is not noticed. Fleet controllers get to know their drivers so when the drivers are not showing normal behaviour at these interactions, it is the first sign that there may be underlying issues. Does the business allow for the appropriate action to be taken when these signs are picked up? Telemetry technologies are also clear indicators of driver “change” and do not require the intervention of human judgement. The scores are a statistical representation of how a driver has driven and if these scores deviate from the norm, corrective action can be taken and trauma may be identified through this process. Perhaps the most common sign would be to pick up a change in personality, followed by nervousness, unnecessary laughter, fidgeting and forgetfulness which are typical responses which should be carefully monitored. Employee Assistance Programme should be engaged and in small companies, fleet managers should secure the services of independent counsellors. How would a fleet operator ensure that the driver received the necessary counselling and how can he ensure that the driver is fit and emotionally stable to re-enter the transport industry? Even if they can get into a physician, antianxiety drugs are likely to be unsafe to use behind the wheel, and follow-up is necessary to ensure such drugs are effective and to manage side effects. Furthermore, PTSD, like many other types of anxiety, responds best to a combination of medication and psychotherapy, but how many truck drivers can commit to showing up at the same office at the same time every Tuesday? Just being in the same state may be impossible. Be physically active to relieve stress. Take good care of yourself. Eat nutritious meals. Get adequate rest. Cut back on personal and work-related activities that impact negatively yourself. Avoid situations that elicit negative symptoms. Limit your exposure to the media. Be patient. Recovery will happen on its own time. Expect setbacks. Anniversaries or the news of similar incidents may trigger the recurrence of memories. Know that they will gradually abate. On-going monitoring and reports from the counsellors, together with chatting with drivers will allow a fleet manager to effectively monitor the driver’s physical and mental strength to get behind the wheel again. Have you come across instances of where the driver has experienced such levels of trauma that it is better to recommend work duties away from the steering wheel? Not for protest actions, but definitely trauma caused by witnessing or being personally involved in a crash. Only the driver can decide when he/she is ready to face the road again. Fleet operators need to find a healthy balance in cases like this but once again a high-risk driver on the road is potentially far costlier than a replacement or stand-in driver. Do truck operators have in-house counsellors or are this something usually sub-contracted? Bigger operators have in-house counsellors whereas the small, but professional operators will seek outsourced assistance. And there are many who could not be bothered with trauma counselling; profits before people! Our experience shows that this is an outsourced function, even in some of the bigger fleets.